Bow windows consist of four or five individual windows mulled together at 5 or 10 degrees, and project outward from the inside of your home. Bow windows create an excellent feature area in your house for plants or even a bench seat. 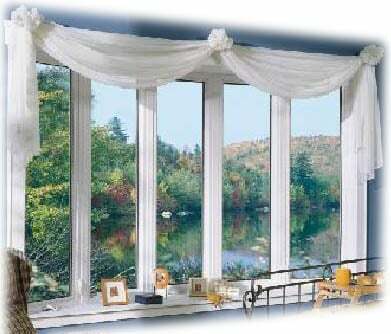 Bow windows can be created using combinations of all of the window types in our extensive line of products.